Provide comfort for the family of Cheryl Barber with a meaningful gesture of sympathy. Beloved mother of Kailan Hollywood and Arden Melnechuk, proud grandmother to Justin Duke and Jazz St. Germain, sister of the heart to Karen Anderson. Daughter of the late Ernest “Dint” and Madeline Barber. 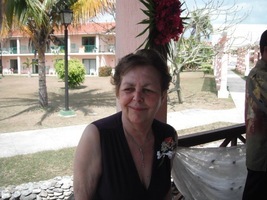 Cheryl passed peacefully at rest at River Glen Haven Nursing Home in the early morning hours of March 18, 2019. Put your dancing shoes on Mom, there’ll be no stopping you now! 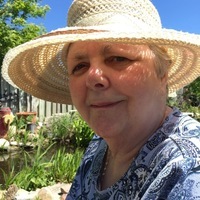 To honour Cheryl's wishes, cremation has taken place and a celebration of life will be held on May 11, 2019 from 1 p.m. to 4 p.m. at 52 May Avenue, Sharon, Ontario. To send flowers in memory of Cheryl Darlene Barber (Barber), please visit our Heartfelt Sympathies Store. 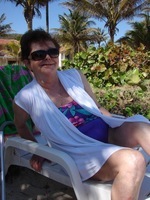 Provide comfort for the family of Cheryl Darlene Barber (Barber) by sending flowers.